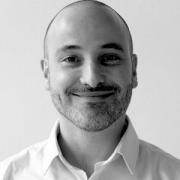 Sergio Katz has an MSc from FEA/USP, has completed an MBA in Marketing from ESPM and holds B.A. in Advertising from ECA/USP. His experience includes working in marketing and strategic planning for major Brazilian agencies and clients, and communication planning for brands such as Honda, Unilever and Heineken. He is currently a Planning VP at AlmapBBDO / Brazil, managing communication strategies of Volkswagen, Havaianas, Bradesco Insurance, Diageo, Bayer, Pepsi, HP, Veja magazine and MAN Latin America.